HQ MOUNT founded and specialized in photovoltaic solutions and products. 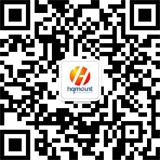 HQ sports founded and specialized in sports equipment, auto accessories and photovoltaic accessories. HQ processing factory was founded, it specialized in hardware and mounting kit processing.